The Rival shuddered and echoed with the concussion of Andross’ explosives. Crimson stumbled badly. Shaak-Rom’s perfect red and striped arms caught her. She cursed. The depressurization alarm honked; red warning lights ignited over the airlock door. Most of the crew stood with her in the corridor to the containment room, armed with masers, and a surprising array of personal items, barely permissible under the Galactic Precinct’s self-defense clause. Olper had a spear? How’d he even get that on board? Crimson cursed again, and pushed herself back onto her robotic leg, letting the gyroscope in her pelvis find her balance. Fifteen crewmen onboard and she falls into Shaak-Rom’s arms. “Andross did it!” The rag tag crew gave muted cheers of approval. “That sounded bad!” agreed Tager. Former Vizavian Army, the young, blue, leather-clad alien was among the few on the Rival that had formal tactical training. He dashed forward, followed by Micron, their pint-sized Andromedan police android. Tager was looking out the tiny port hole. “Oh, they are not gonna’ be happy! They’re drifting! They were right in the process of boarding!” Tager suddenly cut his narrative short, and started making apologetic gestures out the window. “What is it?” Crimson barked. “Snake spit.” Crimson spun and clanked up the grated passage to the bridge. Actually, the plan was going according to plan. 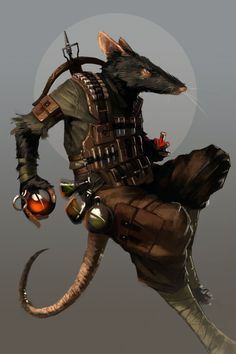 She’d warned Termus Galhaan they’d sustained damage to their magnetic seals, and Clidjitt and Andross had managed to make it look and feel authentic. If the pirates had wanted an easy boarding, they weren’t going to get it. Now they’d be pissed. On the other hand, was there any such thing as happy pirates? Sinbad? her Mindframe suggested. Captain Paul Watson? Sea Shepherd? “We will board from Shuttle Bay 1!” answered Galhaan. “Open the bay now.” Galhaan’s voice was very flat. “We’ll lose too much oxygen!” Crimson answered truthfully—well, inadvisably. On Gobe, Cort’s home planet, there were arachnids that could move so fast it seemed supernatural. Cort had never seen Clidjitt effect such a movement until that moment. The Cargo Bay Administrator himself was scampering on three legs before he had fully processed Shaak-Rom’s orders. Awkwardly Cort shoved his maser into his back cargo pocket and added his fourth limb to the scramble for the Shuttle Bay. Clidjitt was gaining space on him as they rushed through the Circle; they barely noticed Councilman Joffs waving at them from the far passageway, where it seemed a barricade had been erected. Then down they went past the mess and storage compartments. Clidjitt disappeared into the bright spinning hole of the Arboretum long seconds before Cort arrived. By the time he jumped onto the soft turf, the insectoid was scuttling along the wall of a great Garden Pane, and Cort would have to pick his way along one of the sky pane catwalks. With a swallow, the rodentian Ilslavian hit the hard catwalk and scampered along the face of open space as fast as he dared. As the rotating Arboretum carried him up along the wall, he heard the gravelly voice of the gardener calling to him. “What in tarnation is going on?” he demanded. Cort glanced left to see the exobotanist driving along the next Garden Pane in his mobility chair, trying to keep pace. He couldn’t hear the stream of expletives and colorful curses that erupted from the gardener as his mobility chair veered off to make preparations. Cort turned his attention back to pattering along the narrow catwalk. Ordinarily he tried to avoid looking down if his shiply duties took him onto a sky pane. This time instead of the depthless black of star-studded space, there drifted a massive shape. The Hunting Knife slipped beneath Cort’s feet like a Leviathan under a glass-boat tour of the Zomamaz River. Clicking his rodent incisors in fear Cort redoubled his pace. Far ahead, the spider-like form of Clidjitt scuttled down the opposite wall and disappeared through the black-hole exit of the Green House. At last Cort himself approached the spinning hole. By now he figured he was exactly reverse of the Rival’s artificial gravity. He hurried down the last, graded, anti-slip step. The floor was above his head. Jumping onto the circular pathway beside the door, and clenching his stomach through the lifting gravity, he ran with the rotation of the Arboretum, front claws gripping the handrails. Coming level with the Rival’s deck he jumped into the standardized Artificial Gravity, and plunged onward despite the spinning sensation in his inner ears. Ahead was no sign of Clidjitt, the insectoid must already be sealed in the shuttle bay. Hopefully angry pirates would wait the full 5 minute emergency bay depressurization protocol, before they opened fire. With an atmospheric pressure of 14.7psi and the shuttle bay’s cubic volume of roughly 1, 120,000m, Rival was about to lose sixteen million pounds of oxygen. Air re-circulators could likely deal with it, but they might all feel a little light-headed if they did much more than casual walking. Especially with 300 additional bodies onboard. “We need better extraction fans!” Cort gasped, as he scurried the last 100 meters to the Shuttle Bay 1 control panels. Through the view panes he saw Clidjitt was already closing the Boatman’s ramp. “Com’on, com’on!” he tapped his furry fingers on the panel, fully expecting the bay doors to rock and buckle under the impact of Spiker torpedoes.